Corporate wellness programs are benefiting many companies around the nation. Employees are doing more than getting healthy, they’re staying healthy, and companies are saving money in healthcare costs and increasing their ROI as a result. If, however, you find that your corporate wellness culture is lacking, or that your existing wellness program lacks engagement, maybe there are additional resources to explore. The question of how to manage wellness incentives is frequently raised by employers who want to see increased wellness in their workplace. Let’s take a look at a few ways to incorporate and maximize wellness incentives in the workplace to maximize the health, positive morale, and productivity of your employees. If employees are not engaging in the corporate wellness program, wellness incentives can provide some much needed inspiration to get involved. At Wellworks For You, we specialize in helping companies discover how to manage wellness incentives. If you want to set up a brand new incentive program, or if you have an incentive program in place but are unsure of its success, begin by taking a poll to ask what kind of wellness incentives your employees are excited about. Ask everyone what kind of fitness goals they have, find out what motivates them, and then develop some quality and well-informed wellness incentive ideas. Progress-based – Incentives that reward employees based on their progress toward a certain goal, no matter how fast or slow. Outcomes-based – Incentives that reward employees who achieve a certain goal and maintain it. Participation-based – Incentives that promote involvement in the wellness program by rewarding employees who participate. Use incentives positively to motivate people. Consider offering wellness challenges to create a good natured sense of competition. Still wondering how to manage wellness incentives? This is where numbers come into play. Keep detailed records of all wellness incentives, participation levels, and results. This will allow you to evaluate the success of the program in terms of engagement and benefit. It will also allow you to give rewards appropriately. 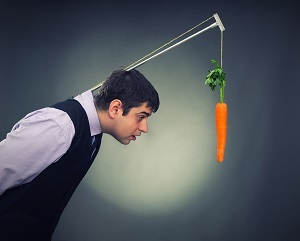 Make sure to clearly define incentive goals and how the rewards will be distributed, what the rewards are, and when they will be given to employees. Are the rewards sufficient for motivation? Are these wellness incentives working? Once you’ve determined the answers to the questions above, make adjustments accordingly – decide if more examples of workplace wellness programs with incentives are needed, or if you simply need to re-optimize existing incentives. It’s always advisable to keep incentives varied and changing so that employees don’t become complacent. You will soon see an improvement in engagement and participation. Managing wellness incentives can be a very rewarding position within the wellness program spectrum. If you’re looking for more benefits of wellness programs in the workplace, contact Wellworks For You for more expert advice on how to manage wellness incentives.